Our understanding of the physical, chemical, biological and technological characteristics of nanometre-sized objects, their combination with other technologies and their focus on industrial and social needs enables us to provide personalised and interdisciplinary solutions in sectors such as: biomedicine, electronics, energy, automotive, transport, construction, textile, aeronautical, environment, agrifood, machine-tool and chemistry, among others. We specialise in the additivation of plastic materials with nanoparticles in order to equip them with new functional properties. The new nanomaterials are characterised by their nanometre level and functional activity. Synthesis, processing and characterisation of inorganic, organic and hybrid nanomaterials with different properties depending on their nature and size. Modification of nanoscale materials to provide new characteristics and functions (antimacrobial, antifouling, antioxidant, self-repairing, anti-pollution, conductive, etc.). Formulation of nanoparticle-containing plastic materials. 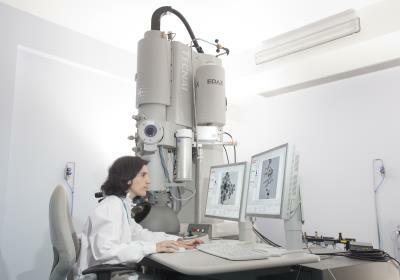 Development and characterisation of nanostructured materials and surfaces with special properties. Development of supercritical fluid-based processes for the extraction of natural compounds, waste valorisation, compound synthesis, the production of micro/nanometric particles and functionalisation of materials; microencapsulation of active compounds to obtain products of excellent pureness free from organic solvents.